IT’S the show of the year and tickets are selling fast for the final of Redditch Has Talent 2018. It will be held on Thursday, June 28 in the main auditorium of the Palace Theatre in Alcester Street and promises a great evening of brilliant entertainment, personality and of course, talent. 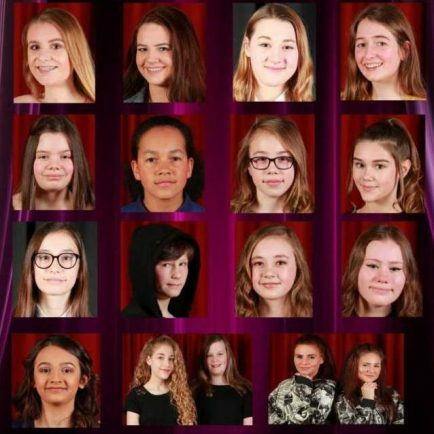 The non-stop evening will feature 18 handpicked acts featuring soloists and groups in singing, dancing, and acrobatics, all hoping to catch the eye of the judges who will be selecting age group winners on the night. In addition to the finalists, while the judges deliberate on their choices, the audience will be entertained by Choirs Connected ‘Elite Choir’. This year’s guest presenter giving out the prizes to the winners will be Heidi Nixon, well known to many young talented musicians in her previous role as Music Education Leader in North Worcestershire. It all promises to be a fantastic evening and this is a chance to see up-and-coming talent from both Worcestershire and Warwickshire. Tickets cost £8 and £7. “You will be getting an awful lot of entertainment for your money!” said RHT producer and compere Dave Wilkins. Tickets can be bought in person from the box office, by calling 01527 65203 or on the Palace Theatre website.